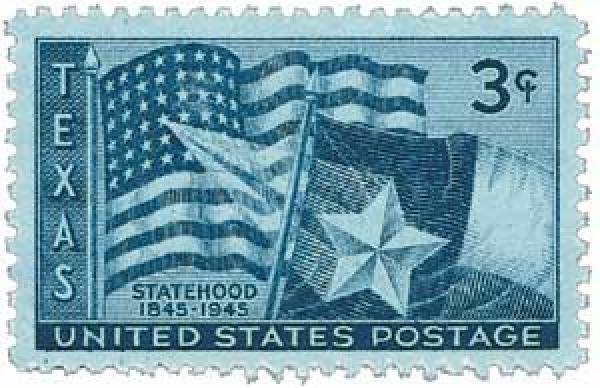 U.S. #938 was issued for the 100th anniversary of Texas statehood. On October 2, 1835, Texian rebels took up arms against Mexican soldiers in the first battle of the Texas War of Independence, also known as the Texas Revolution. Present-day Texas was made part of Mexico in the early 1800s following America’s Louisiana Purchase. 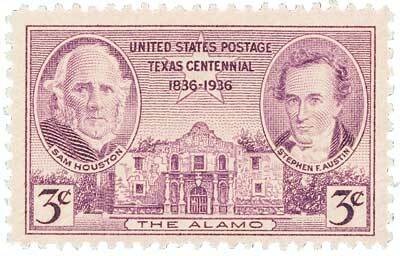 In 1820, Moses Austin of Missouri received permission to establish an American colony in Texas, which was established by his son Stephen F. Austin. 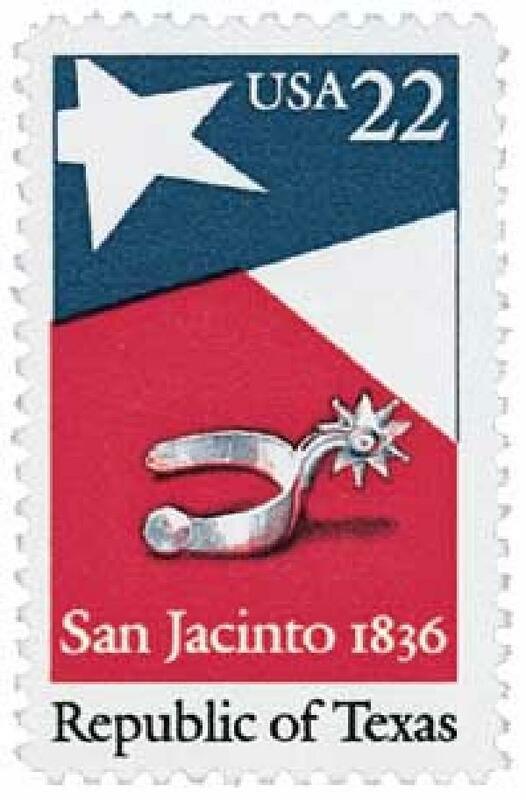 U.S. #1660 – The Texas State Flag was designed in 1838 when it was still a republic. Soon, more Americans received land grants from Mexico. Between 1821 and 1835, the number of settlers grew to about 30,000 – and most were Americans. The Mexican government became concerned over the high percentage of Americans living in its territory. In 1830, Mexico officially halted American immigration. Relations between the settlers and the government quickly deteriorated. In 1834, a Mexican politician and soldier, General Antonio López de Santa Anna, took over the Mexican government and established himself as a dictator. Throughout 1835, unrest rose throughout the Texas settlements and a meeting was called for October 15 to discuss whether a change in government was necessary. 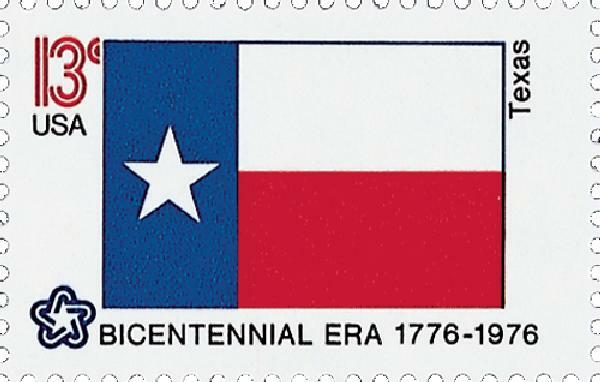 U.S. #2968 was issued for the 150th anniversary of Texas statehood. Meanwhile, the Gonzales settlement was subjected to frequent Comanche attacks, and had to be rebuilt after one attack destroyed the town. The Mexican leaders were unable to constantly provide troops to protect the town, so they sent a six-pounder cannon for the locals to use to defend themselves. Then on September 10, a Mexican soldier attacked a Gonzales resident which led the people of the town to protest. The Mexican government grew concerned over leaving a weapon in the town and sent in troops to reclaim it. U.S. #776 was issued in Gonzales. The people of Gonzales saw this as an attempt to attack the town and used the cannon as a rallying point to defend their town. A small group of Mexican soldiers were sent to the town and then sent away. They then called for reinforcements, leaving Gonzales and the surrounding towns to prepare for a possible battle. They had no cannonballs, so they collected metal scraps to fire from the cannon. U.S. #3738 pictures the Alamo. By October 1, about 100 Mexican soldiers set up camp along a nearby river. Learning of this, the Texian rebels, which numbered about 140 now including recruits from nearby towns, decided to attack the camp at night. That evening they crossed the river and reached the camp by 3:00 AM. A barking dog revealed their presence and the Mexicans began firing. The Texans remained hidden in the trees until about 6 AM when they finally returned fire. 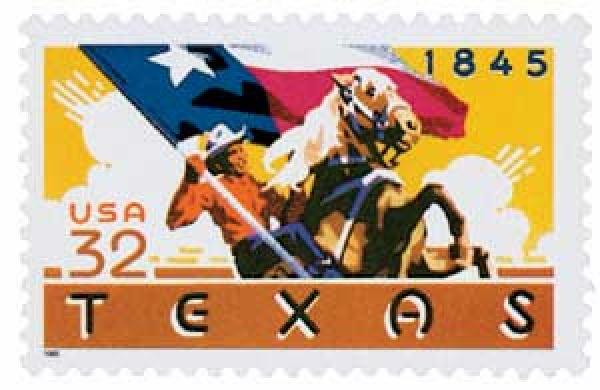 U.S. #2204 was issued for the 150th anniversary of the Republic of Texas. The Mexicans then withdrew to a nearby bluff and the Texans back to the trees. Eventually the leader of the Mexican soldiers called for a meeting. The leader of the Texians was surprised to discover that he agreed with their position, but had to follow his orders. He then returned to his troops and withdrew from the field. Near the battle’s end, Texians raised a homemade flag picturing the cannon and the phrase “Come and Take It.” Click here to see a replica of the flag. Though the battle itself was a small skirmish, it was politically significant because a larger number of Texians had taken arms against the Mexican army. This battle marked the start of Texas War of Independence and it was described in newspapers as the “Lexington of Texas.” The war would continue on for six months and include the disastrous Battle of the Alamo and culminate in the Battle of San Jacinto. In the end, Texas became independent from Mexico and declared itself a republic. This entry was posted in October 2017, This Day in History. Bookmark the permalink. 7 Responses to "This Day in History… October 2, 1835"
Great explanation. Keep it up. Have been to this battlefield. Great Texas history. Love that homemade flag and the “Come and Get It” wording. 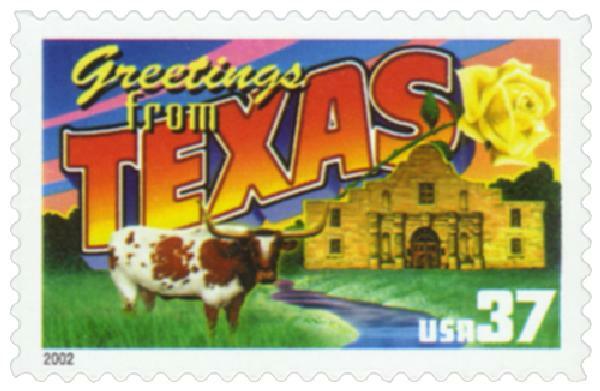 Texas became a republic on March 2, 1836. This doesn’t give a full picture. Americans moved into a Mexican territory, many of them bringing slaves – although Mexico had outlawed slavery. Eventually they rebelled and took over. It was a very different kind of rebellion from that of the American colonies, where the colonials were largely of British ancestry and were simply demanding traditional rights of Brittish citizens. To make a long story short – at the cost of over-simplifying things Texas was stolen from Mexico. It wasn’t all Davy Crockett and brave freedom fighters. Did the Mexicans steal the land? After Mexico halted further immigration to Texas from the U.S. in 1830, Americans continued to cross the border into Texas. It’s interesting that for the next five or six years, the illegal undocumented immigrants were Americans. I just wish more of Mexico had become American. The the people would have a better standard of living. The Mexican government is rated as among the most corrupt in the world.